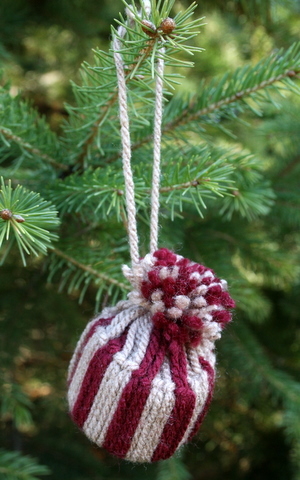 Mini hats, made of yarn, are simple and inexpensive handmade Christmas decorations that add fun to winter holiday season and create unique Christmas decor. Making simple crafts of yarn for home decorating are enjoyable activities, that are recycling paper and helping get rid of yarn leftovers that clutter precious storage space. Colorful and funny mini hats make unusual Christmas tree decorations and after party gifts. Used as individual table centerpieces, mini hats, made of recycled paper and yarn, can add a splash of festive color to Christmas table decor or bring charming accents to kids birthday party table decoration. Making simple Christmas crafts for home decorating saves money and unleash your creativity. Handmade Christmas decorations and table centerpieces create comfortable relaxing atmosphere and add unique details to Christmas decor. Recycling paper and decluttering your home storage are two other bonuses of making cheap decorations. Often small and simple craft ideas and handmade cheap home decorations can dramatically change the mood and lift the spirit. 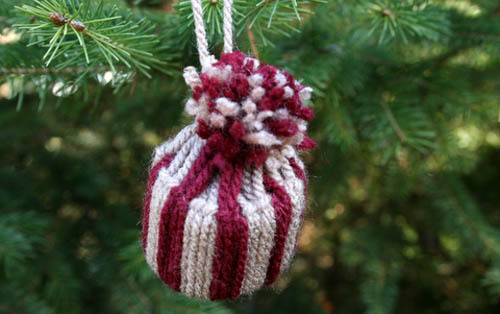 Mini hats made of yarn are fun Christmas crafts for those who appreciate creative and cheap home decorations. Cute mini hats can be used as inexpensive miniature Christmas tree decorations or funny hats for bottles that create a colorful display on a shelf. 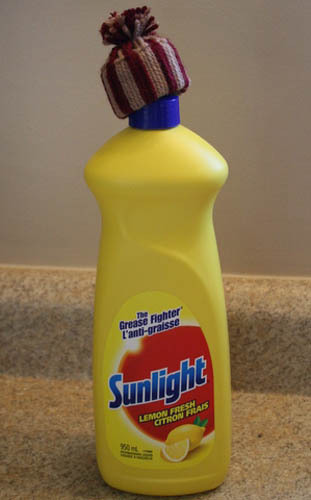 To make a mini hat you need only yarn (thick yarns are easier to work with for beginners, but mini hats made with thin yarn look very attractive also,) empty toilet paper or paper towel roll and scissors. These cute craft ideas for kids and adults are excellent for making Christmas tree decorations, creating unusual individual table centerpieces and preparing small after party gifts that will delight kids and adults. Made with very few supplies, cheap home decorations are a way to arrange colorful table decoration and unique Christmas decor, spending a lovely afternoon with your kids. Colorful or single color mini hats make beautiful miniature Christmas tree decorations. Sumple and cheap decorations give soft and fuzzy look to Christmas decor and add creative flavor to artistic winter holiday and Christmas tree decorating. Mini hats are great craft ideas for kids and adults that encourage to experiment with various colors or hats sizes and have lots of fun.